Loss is loss. Any type of loss can be devastating. 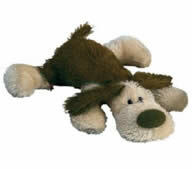 I recall that on a return trip to the United States from Zambia in1996, my then ten-year-old son lost a small stuffed toy dog on our layover in Amsterdam. I was surprised at how deeply he grieved. I helped him to process his loss by having him draw a picture of his toy dog while we were on the second leg of our trip and I had him to dictate to me what to write under his picture. While on the plane, his father purchased a small teddy bear dressed in WWII aviator clothing and similar in size to the lost toy. My son was not consoled. He is now 25 years old and when I recently showed him the picture he had drawn 15 years ago, he said that the incident was still painful to him. Whether a small child who has lost a toy, an elderly woman whose spouse has died after 50 years of marriage, or a young man who has lost a job, each can be extremely devastated by their loss and their sense of loss may be similar despite differences in the object of loss. Every loss is a reminder of death, the ultimate loss. I recall the sense of loss I felt when my daughter married. At one point in the wedding ceremony (—I think it was just after the final exchange of vows), I wept almost uncontrollably. These were not the subdued tears that often flow at weddings because the occasion is so moving and sacred. These were the pitiful, muffled, shoulder-shaking sobs that could have come from someone standing at their child’s graveside. (Fortunately, it was an outdoor wedding with a huge number of guests and I was seated some distance from the couple as they were making their vows to one another.) Someone seated behind me patted me on the back and whispered “It’ll be alright.” I quickly composed myself and felt more than a little embarrassed and quite shocked by my response to it all. I realized almost right away that I was grieving the loss of my daughter with whom I was very close and who was moving 1000 miles away. Just as death is inescapable, so is loss. However, in the same way that Jesus was triumphant over death, each person can triumph in loss because we have the power to choose how we are going to respond to the loss. One does not just get over loss. One is changed by it. Forever. We are continually shaped throughout our lives by many types of loss resulting in many opportunities for change. Barnes (1996) calls these losses terrifying opportunities, but they are opportunities nonetheless. The change can expand you or cause you to collapse under the weight of the change process. Loss and suffering can be redeemed although it cannot be reversed. We can be transformed by the loss if we choose to be. In order for loss to be redemptive, we must let go of the loss and of the regrets associated with the loss. God suffered loss. I think about the Genesis 6:6 passage where we read that God is hurt to his heart by the wickedness of humankind. This view of God as one whose heart can hurt brings God closer to us in our distress and offers both peace and reassurance to those experiencing loss. Furthermore, it is through our pain that we identify with the sufferings of Christ. Our suffering has meaning because his suffering had meaning (McCartney, 1998). It is important that we help one another recognize that life is bigger than loss (Sittser, 2004). Losing does not mean that life is over. Suffering and loss should be viewed as a gift. In Sittser’s words, suffering is just a bad chapter in a good book. At some point in the journey, Christians must acknowledge that we only see through a glass darkly. Our view of life, our view of God is far from complete. Somehow, we must become okay with the uncertainty of it all. This does not mean that we need become fatalistic or passive. It means that we must maintain the kind of humility that always says “Lord willing” whenever we make our plans. Our suffering and loss is part of a greater story. God is not finished with us yet. Barnes, M.C. (1996). When God interrupts: Finding new life through unwanted change. Downers Grove, IL: IVP Books. McCartney, D. G. (1998). Why does it have to hurt? The meaning of Christian suffering. Phillipsburg, NJ: P & R Publishing. Sittser, J. (2004). A grace disguised: How the soul grows through loss (Expanded edition). Grand Rapids, MI: Zondervan.